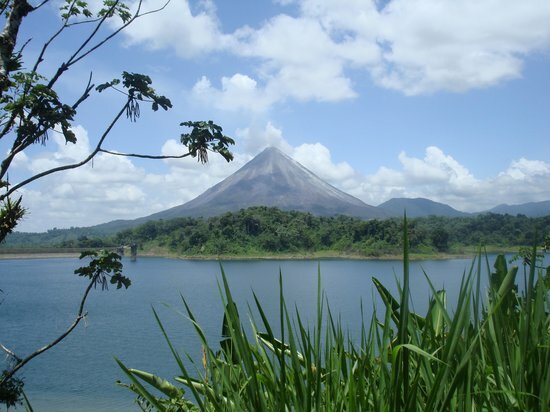 La Fortuna de San Carlos is at the center of an array of geological wonders. The nearby Arenal is Costa Rica's most active volcano, routinely bursting with lava and ash, and the Catarata de La Fortuna is a waterfall pouring from a seventy-meter cliff. The Tabacon Hot Springs are a relaxing intermission in the midst of the various spectacles, and the Leaves and Lizards Arenal Volcano Cabin Retreat is a blissful end to any day's excursion.